” One owner since new, bought in Leeds in the very early 80’s. It has never been gigged but used for music fun at home. 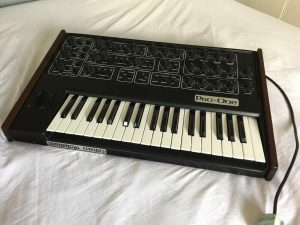 The pictures shown are of the actual Synthesizer. It is in working order, slight wear with the odd scuff and little scratches, other than that in good very condition.